October provokes the most extreme reactions. “There was a splendid, majestic plenitude about the sunlight which burned all day, and then seemed to switch itself off abruptly in the early evening, when all at once the air became very cold, and dusk fell quickly. The sun had a special warmth which you never felt in summer and which never came again in winter... The land was at rest”. That is Pierre Koffmann, writing a rhapsody for autumn in his great book “Memories of Gascony”. But others see Octobery things quite differently: “October, not April, is the cruelest month for me”, writes Hugo Arnold in Food & Wine Magazine this month. King Harvest has surely come. But the way in which Levon Helm sings the chorus of the song leaves us in no doubt that the narrator should have a left a question mark after that last line: “King Harvest has surely come?”. 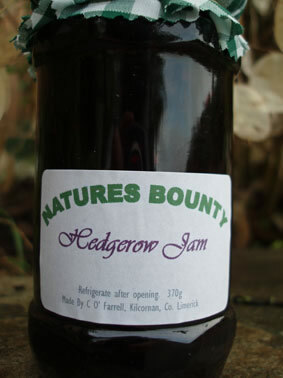 Up in Limerick last week I met up again with Colette O'Farrell, luminary creator of the Nature's Bounty preserves, some of the best artisan foods we have come across in recent times. Ms O'Farrell was planning to spend the weekend picking Shepherd's Plums, a wild, late-ripening variety, so named because they were there to be eaten by the shepherds after they had returned with their flocks to the fields. The image of Ms O'Farrell, plucking the autumn fruit and then bottling it's bounty, seems to me to sum up just what October offers, the last chance to store up sunshine, to catch Pierre Koffmann's “majestic plenitude”, and ”splendid warmth”, to sustain us through the winter. Over the next short while we're going to explore some ideas on harvest. If you have any harvest experiences or opinions, please share them.